We know your time is valuable. We are sure you will find our site a fast and convenient way to research and find a vehicle that’s right for you. If we can be of any assistance while visiting us online, send us an email and we will promptly reply. We look forward to serving you! 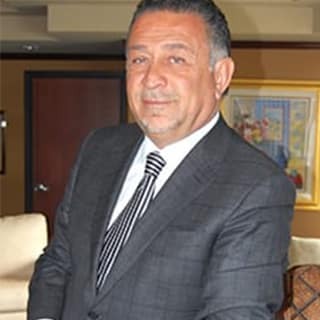 I have been in the automotive industry since 1985. I am quite proud of my many accomplishments, as well as my team of truly dedicated, trained professionals. We are ready to assist each and every client with nothing short of excellent customer service at all times. The automotive industry is not only my business, but also my passion. I am married and have four children. I work “EIGHT DAYS A WEEK,” in order to maintain customer satisfaction beyond your expectations. I invite you to come see for yourself. If you would like to know more about me you may also browse my “RAFIH STYLE” magazine, which is available online. Growing up in the Cleveland I was pretty much raised in my family owned car dealership. That upbringing taught me the principal of how to maintain long term relationships with customers and team members. 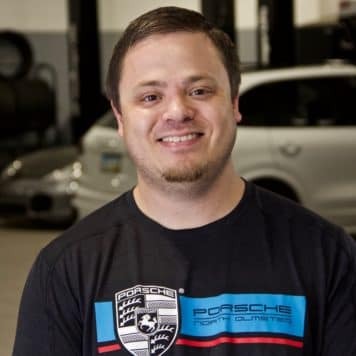 In May in 2012 I began working for Bernie Moreno and transitioned to Porsche of North Olmsted in 2016. 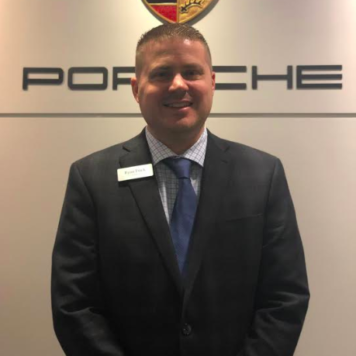 I have to say that the customers, the brand, and the team here at Porsche North Olmsted makes every day enjoyable when I walk through that door. My wife and I were married in 2015 and currently it is just us and our 90LB Pit/Mastiff rescue. You can always find us out on the weekends with good friends and lots of family. Look for me down at Mid-Ohio usually in a 72’ Datsun 240Z. 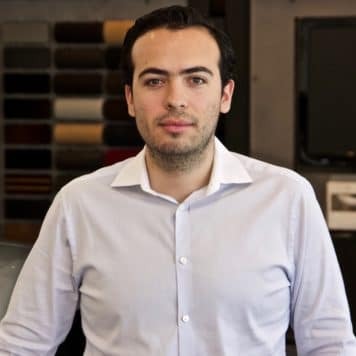 I began my career in the car industry in 2002, and joined the Bernie Moreno Company in 2012. I married my spouse in 1995 and have four amazing kids and two dogs at home. 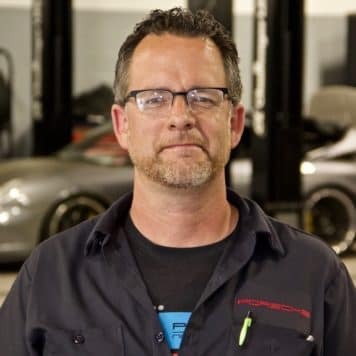 When I am not at Porsche of North Olmsted I enjoy updating the home, maintaining a car, or smoking up a pork shoulder. 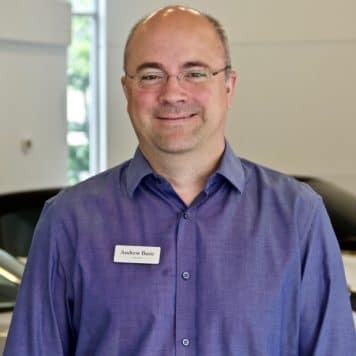 I’ve been in high-end automotive retail for nearly a decade. 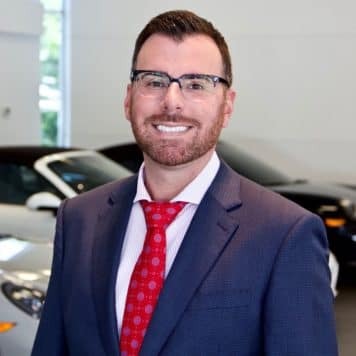 After leaving a luxury dealership in Columbus, Ohio I signed on with Bernie Moreno and Porsche of North Olmsted in 2014. In my spare time, I enjoy cooking, driving my Porsche Boxster, and exploring Cleveland. I live in the Gordon Square Arts District with my girlfriend and am a season ticket holder with the Cleveland Indians. After working with the Porsche brand for about 4-5 years now, there is not a more sound car on the road in my opinion. My passion for details is what drew me to the brand initially and after being involved with the brand I learned just how many details this brand has. I like to golf, work out, and boat with my family in my spare time. Please don’t hesitate to reach out if there is anything we can help you with! 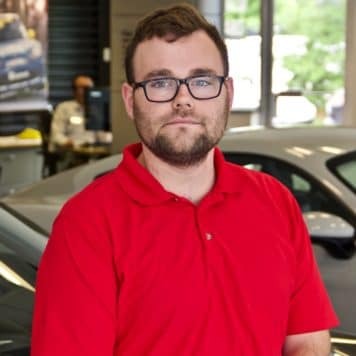 I began as an intern at BMC in the summer of 2011 at Mercedes-Benz of North Olmsted. 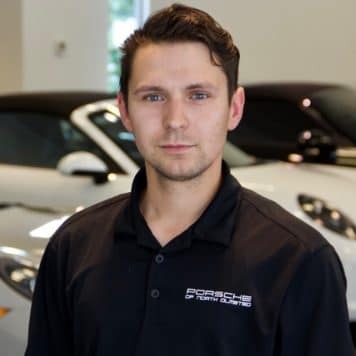 My passion for the Porsche brand began when I was little influenced by my father, grandfather, and uncle. The best experience I’ve had with Porsche was picking up my limited edition GTS Club Coupe at the factory. My favorite Porsche is a 993 GT2. In my free time I enjoy racing, cooking, water sports, and traveling. 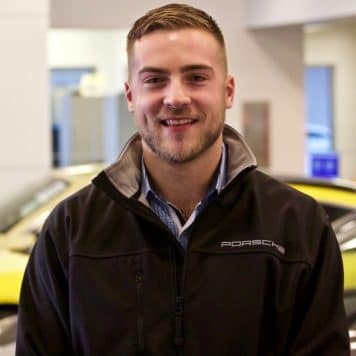 A young driven individual with knowledge spanning across multiple brands, Jeremy enjoys being outdoors in the off time, anything from camping to track days. 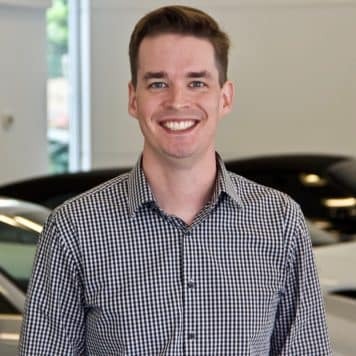 Joining us in 2012, Jeremy has filled a few hats and continues to strive to provide clients with positive experiences for years to come. 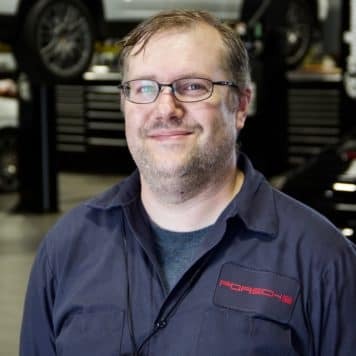 James has 18 years experience on Porsche automobiles. He and his wife have 2 kids and live local. 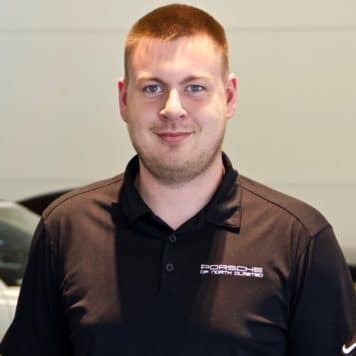 Sean is from Brunswick and has been with the dealership since 2013. In his spare time he plays bass in local Cleveland original rock bands and races two different modified cars. I started with Porsche of North Olmsted in 2006, after spending five years with Audi. I’m married with five children. We currently live in Olmsted Township. Throughout the years I’ve been lucky enough to work on some amazing machines. From track prepared Boxsters to amazing 918s. I like to cook, ski, & golf. Most of my spare time is spent doing things with the family. 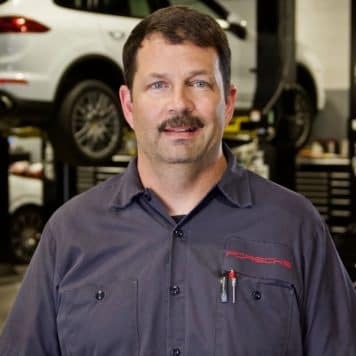 I live local to dealer in Sheffield Lake, I have been a technician for 26 years. Came to the campus with the Saab franchise and worked towards being a Porsche Technician. Cars have always been a passion since little. Hobbies include boating in the summer and skiing in the winter. I’m engaged to Nicole (the better half) and we have 2 older sons and 3 fur babies (dogs). I take great pride in my career and keeping people moving and safe. 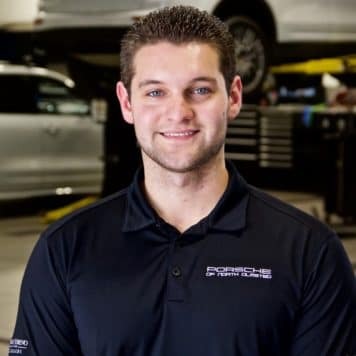 Started as an intern my junior year of high school at Porsche of North Olmsted. After graduating from Avon Lake High School I went to Universal Technical Institute for the automotive. 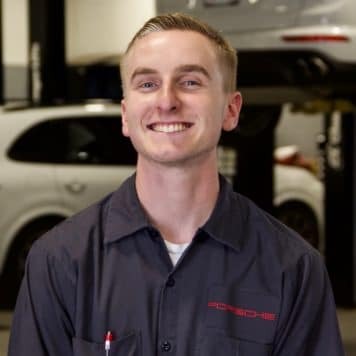 After graduating, I was fortunate enough to be rehired back to Porsche of North Olmsted as a full time technician. In my free time I like to play basketball, hangout with my dog, and work on my new Mustang. 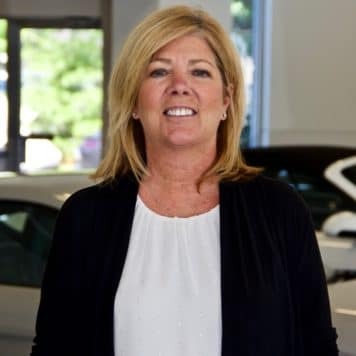 I have been in the car industry for 26 years. I started as a receptionist for the Davis Automotive Group and worked myself up to sales and then finance. I have been with the Bernie Moreno companies since Sept. 2013. Working with a phenomenal and knowledgeable team is what makes coming to work a pleasure. 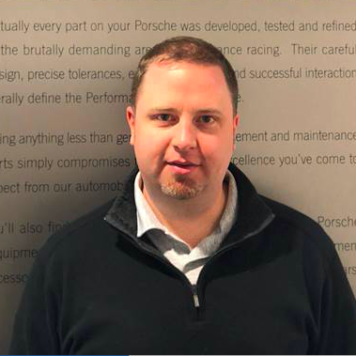 The performance and luxury of the brand Porsche represents is enhanced with the opportunity to engage some of the most fascinating and intelligent customers in the world.